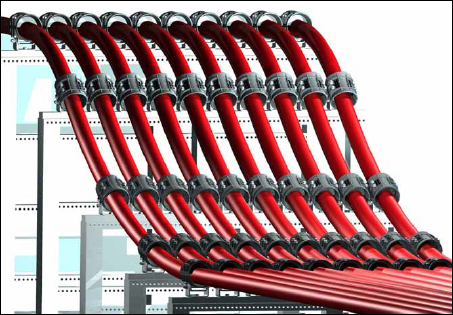 The Ellis Cable Guide clamp has been designed, developed, tested and manufactured in accordance with IEC 61914 (cable cleats for electrical installations). 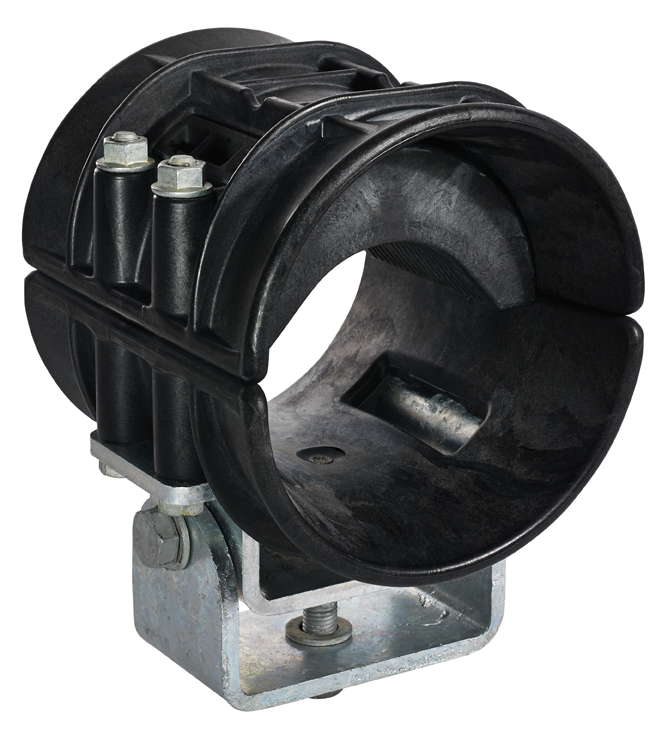 The Cable Guide Clamp is a unique combination of cable guide and cable clamp. Designed to be installed along the cable route in place of rollers, cable is pushed and pulled through the guide to its final location. The Cable Guide Clamp’s fully gimballed mounting and slippery nylon construction ensures that friction is minimised. Once the cables are in position, the top half of the Cable Guide Clamp is removed, an LSF Polymeric insert is added and the lid replaced, which turns the Cable Guide Clamp from a guide to a clamp. It is supplied complete with fully galvanised full gimballed heavy duty mounting frame, ready for fixing to the support structure. It is also supplied with an LSF Polymeric pad specifically sized for the cable being installed.